The SaunaTimes.com: Number one with a bullet. 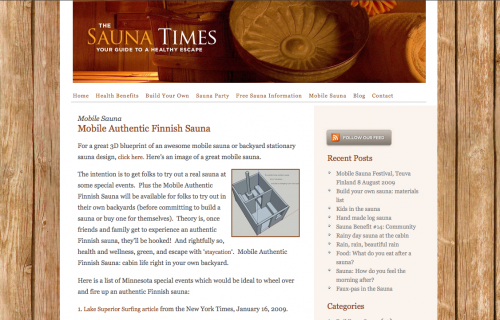 Saunatimes.com is the brainchild of entrepreneur Glenn Auerbach whose goals is to create a high traffic informational site for sauna enthusiasts. Targeting the top four keyphrases for the niche — free sauna information, sauna party, build your own sauna, and health benefits or sauna — Zosel&Co successfully themed these phrases into title tags, URLS and content to land www.saunatimes.com on page 1, position 1 for ‘free sauna information’ after only five days after the site launch. That’s what designing a site with SEO in mind will do for you. 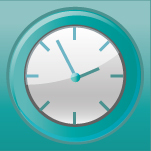 It’s just one of many examples of companies, individuals and organizations creating inexpensive WordPress websites.